The SNYO programme is structured to cater to a range of ages and skill levels for an enriching musical and social experience. Our two performing groups play challenging repertoire in regular concerts, and are coached by the orchestra’s sectional tutors including musicians of the Singapore Symphony Orchestra. The Singapore National Youth Orchestra (SNYO) is for members who are ready to perform challenging orchestral repertoire at a high standard. Members of the SNYO will perform at least three concerts annually and may have opportunities to represent Singapore in various overseas music festivals and exchange programmes. The SNYO is led by Mr Joshua Tan, Principal Conductor, SNYO. The Singapore National Youth Sinfonia (SNYS) is for members who will benefit from rehearsal and performance experience geared towards developing their ensemble and musicianship skills. SNYS members will perform at least two presentation concerts and school concerts annually along with enrichment activities throughout the year. The SNYS is led by Mr Lin Juan, Associate Conductor, SNYO. Rehearsal frequency will typically increase during the concert week. Members are also expected to attend all other activities organised such as assessments, overseas tours, workshops, open rehearsals and masterclasses. One of the ways in which the SNYO develops musical talent for Singapore is through the Individual Instrument Tuition Scheme (IITS). The IITS serves to provide individual instrumental lessons to members of the Orchestra who otherwise would not have access to private music lessons as well as to address the inherent instrumental imbalance of a youth orchestra. The SNYO is able to offer financial assistance by way of tuition support and/or purchase of musical accessories to members who are on the Ministry of Education Financial Assistance Scheme or receiving school-based financial aid. The IITS is not a member entitlement and is solely offered at the discretion of the SNYO Management in accordance with the needs of the orchestra. Members are required to demonstrate progress on their instrument and attend lessons regularly in order to maintain their continued subsidy of lessons from the SNYO. The Management reserves the right to change these terms and conditions at any time without prior notice. 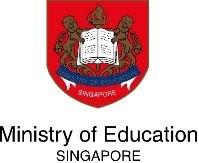 The SNYO is a National Project of Excellence, and the Ministry of Education (MOE) recognises the SNYO as an official Co-Curricular Activity (CCA). If you are studying in a local school, your participation in our activities will count towards your CCA points. You will have opportunities to take on certain responsibilities during your time with the SNYO, such as joining the orchestra’s Student Committee, coordinating outreach projects, or being appointed as the section principal. These leadership skills will also be reflected in your CCA records.